This is the story of the forging of a national cultural institution in late eighteenth- and early nineteenth-century Britain. The Royal Academy of Arts was the dominant art school and exhibition society in London and a model for art societies across the British Isles and North America. This is the first study of its early years, re-evaluating the Academy's significance in national cultural life and its profile in an international context. Holger Hoock reassesses royal and state patronage of the arts and explores the concepts and practices of cultural patriotism and the politicization of art during the American and French Revolutions. 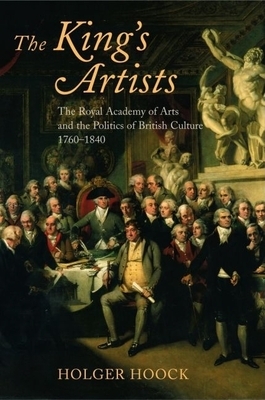 By demonstrating how the Academy shaped the notions of an English and British school of art and influenced the emergence of the British cultural state, he illuminates the politics of national culture and the character of British public life in an age of war, revolution, and reform.